Are you hiding behind walls that were created from past stories? Are these walls blocking you from creating deeper connections with others? Imagine your relationships if you were approaching them from your authentic inner light. Also, imagine the deep connection that you would feel for yourself and your loved ones. Are you missing connection with others around you? Have you allowed the deep rooted fears within yourself hold you back from authentic community connections? Imagine a world where each of us is connected to our true self and sharing our unique talents with others. Imagine the relationships your will experience with others when coming from your heart! Stefanie teaches you how to unlock the answers within you by guiding you to connect with your true self through tools that feel good to you. Stefanie is passionate about face to face and heart to heart interactions. Moreover, social media has its place, we like physical connection here. Utilize the power of writing and journals to release mind chatter and recognize and release the stories of your past. In short, this tool by itself will set your mind free! Stefanie believes connection within is the key to creating deep connection with others. Therefore, I teach you to go inward using tools that feel good to you rather than searching for answers outside of yourself. Above all, Stefanie guides you to trust yourself, acknowledge the walls created from past stories, find your own truths and teach you how move forward authentically and in alignment with your light within. This is done through one-on-one sessions, group interactions or meditation and journal processes. This inter-personal work is for those who have amazing lives and relationships but looking for deeper connection within and with others. Alternately, maybe you realize that you have great days and not so great days and wanting more consistency in your interactions. You may feel that there is more to life than the day-to-day and you are seeking for deeper meaning of who you are, your passion and your reason for waking up each day. As a result, you’ve come to the right place looking for tools to provide that consistency. In connection with our Guided Journals, this is a 4 week mini-class where we guide you through the journal with your kiddos and teach you how to create deeper connection with yourself and your kids. You get a digital copy of the journal and a series of videos, 7-10 minutes long, walking you through how to use the journals with your kiddos! This course teaches you the importance of journaling and giving your child the space to Stand Up, Speak Up and Speak Out. Skype or Phone Session with Stefanie discussing anything you desire. Maybe you are struggling with handling your emotions with your children? Maybe you simply need another perspective? I’m hear for you, let’s chat! Looking for a different perspective? I ask a lot of questions, and intuitively guide you to talk through any question you may have. Think of it as a judgement-free bestie who will be honest and truthful with you and assist you in finding the perfect answer for your perfect questions. Hiya Friends! 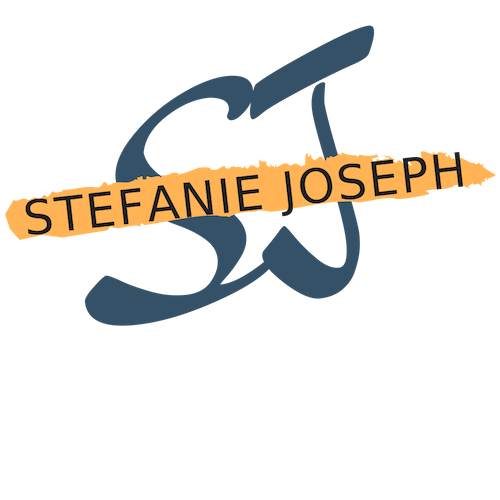 I am Stefanie Joseph and I believe that true joy comes from connection within and as each of us connects deeper to our true self, each of of us is able to create lasting heart-based connections with others. I have come home to myself after years of searching and relying on others for my answers. Additionally, I believe that all each of us ever needs is already inside of us; it may simply be locked up story boxes that we have created or allowed others to create for us. Because I did not create your life, I will not tell you what to do or give you all the answers. On the contrary, I lovingly (and sometimes bluntly) guide you to returning back to your home (your self), giving you permission to release those stories and allow you to bring out your true authentic self. To sum it up, I work with you and provide tools to access your own answers, because you are the only person that knows what is best for you. Start Finding Your Home Again! What's on your mind or heart?